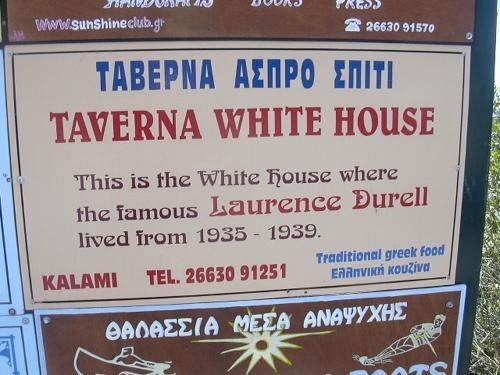 LAWRENCE DURRELL’S WHITE HOUSE sits at one end of Kalami Bay, its turquoise waters twinkling gently in the midday sun. 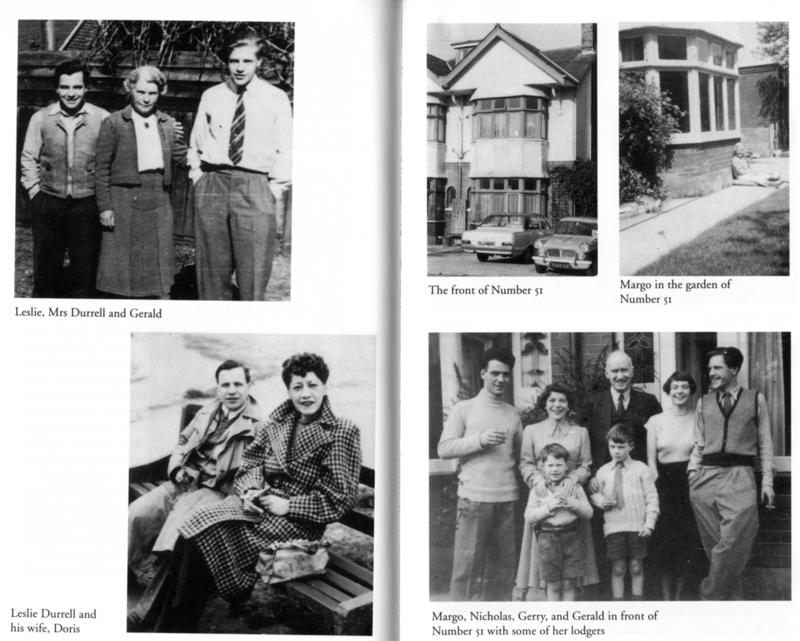 It looks rather as he described it in Prospero’s Cell, his account of life on Corfu, that “brilliant little speck of an island in the Ionian Sea”, where he lived with his family from 1936 to 1939. The red-tiled, three-storey, square house is indeed “set like a dice on a rock already venerable with the scars of wind and water”. 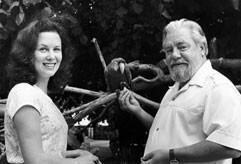 Durrell fled England, whose culture and weather he loathed – “English death” he called it rather harshly – for his “unregretted” Greek island home. It must be a little gold mine for the Atheneos family, Tassos and Daria, whose ground floor taverna spills onto the venerable rock on which the house stands, as well as on to the boardwalk jetty. From May to September, they are rarely short of customers. The upper floors of the White House, which Durrell helped the Atheneos family to build, contain rooms to let. One imagines Lawrence would have been terribly amused. 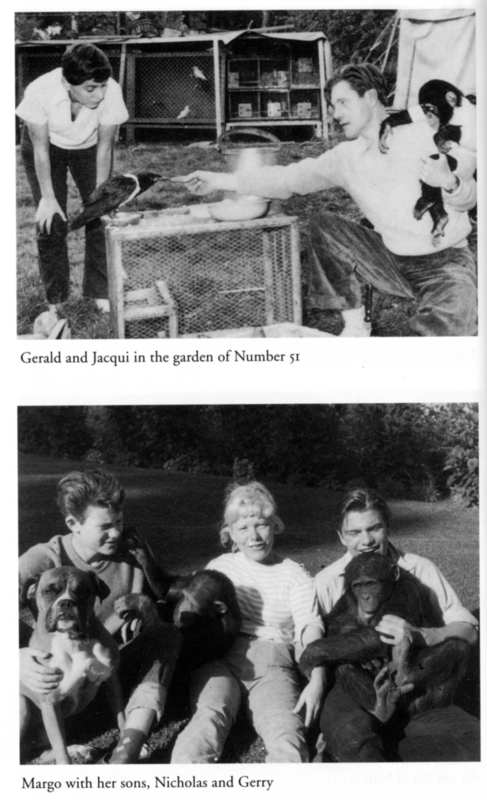 The Overloaded Ark (TOA) was Gerald Durrell‘s first book, written in 1953 after his marriage to Jacquie Wolfenden – who encouraged him to write to make money when he could not find work. 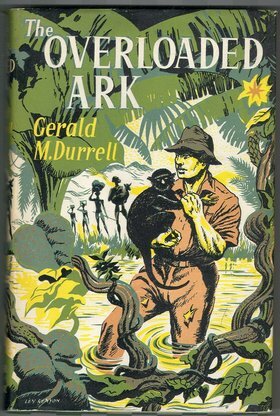 The book chronicles a 1947-48 animal-collecting expedition Gerald undertook to Cameroon (then British Cameroon) in West Africa, accompanied by ornithologist John Yealland.